← Oh, get over yourself! It’s the most UNREASONABLE time of the year! Ooooh, I am so excited! 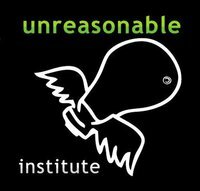 The visionary Wonder Boys who founded the Unreasonable Institute two years ago in Boulder, Colorado have once again selected their Finalists– and the voting/donating has begun! 45 dynamic young social entrepreneurs from 18 countries across the globe are competing to raise $8,000 so they can attend the challenging, inspiring, transformational Unreasonable Institute this summer. Once there, they’ll be working with world-class mentors to perfect their business models, learn from each other, make global contacts, and pitch their brilliant ideas to venture capitalists. Their ventures must address social & environmental challenges of global magnitude, be scalable and replicable, and eventually reach at least one million people. And that’s what you call change you can believe in. The first 25 Finalists to make it to $8,000 are in – and YOU can make it happen with a contribution of just $10 (maximum donation size you’re allowed to make increases towards the end of the marketplace). And trust me, in the Marketplace you’ll find something to ring your chimes… with ventures from food-fortification programs to SMS ag solutions, clean water projects, innovative housing ideas, educational ventures, and even a new car for Africa. 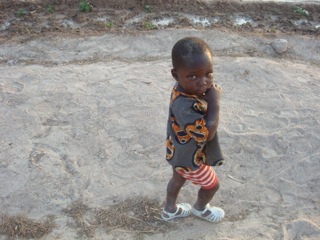 In fact, some of my favorite causes from last year made it, too – Malo Traders, One Earth Designs and Bliss! Non profit organizations, Research Projects, and National and International Disasters are ALL billion dollar industries. There are numerous non profit organizations that fill the airwaves and media with claims of this benefit or that project that needs money. Millions of dollars are spent to agressively seek the “more lucrative and longterm Federal Grants” for this or that research project. When there is a disaster in one region of the country or world, everyone jumps on board to give live coverage with minute by minute commentary, the celebrities flock to the site, and the media and telecommunications industries advertise organizations and make donations so easy and at all at no cost! But! when you pull back the covers of the situations, most are nothing more than a business operation, that supports careers of individuals, misrepresents their missions, and raises funds that never reach the objective. While I applaud your efforts, and wish more people would take a hands on approach, I get tired of hearing how the billionaires of the country are going to give this amount, each year to charity, and they are not in touch with the work. They have the same industry professionals around them that run the non profits, research, or “spearhead” the latest disaster, and the Charity Business gets bigger however, the situations continue to grow. Thank you for your work! Yay Ramona!! I’ll definitely check Wello out! I’m you guys’ biggest fan, Teju !! Keep up the unreasonably fabulous work! The name says it all: it’s Unreasonable. Apparently that’s what it takes to solve problems in our world. You have to look past all the reasons something won’t work and just go do it. Thank you, Betty. I wholeheartedly agree with the sentiments and contents of this important blog posting, especially since I am friends from two incredible finalists from the Philippines: Noreen Bautista of Jacinto & Lirio and Father Xavier Alpasa, SJ of Isla Culion Mission. I have a special regard for Noreen and I have made a few postings on my blog to encourage assistance for her wonderful project. Awesome post. I chose mine and contributed! Thank you for the post.